MCRI AllergyPal has been co-developed by two of Australia’s leading paediatric allergists and researchers at the Murdoch Children’s Research Institute in Victoria, Prof Katie Allen and Prof Mimi Tang. When an allergic reaction occurs, parents and carers often cannot recall the most appropriate first aid steps leading to an under use of Adrenaline Auto Injectors (AAIs). This is the leading cause of anaphylaxis related deaths in children and teenagers. The stress and worry that comes with caring for a child with a food allergy has a significant impact on quality of life reported by parents. Professor Mimi Tang has an international and national profile in the field of allergic and immune deficiency disorders, and has shown strong intellectual leadership and contribution to this field of research. Evidence of this leadership is shown by her participation on relevant international and national expert and peer review committees, as well as contributions to health policy. Professor Tang is an expert consultant to the Victorian Department of Education and Early Childhood Development, on issues related to anaphylaxis management policy in school and day care settings. She also works with Australasian Society of Clinical Immunology and Allergy (ASCIA to develop resources to support health professionals in anaphylaxis management as well as educational resources for people diagnosed with or at risk of anaphylaxis and their families or carers. Professor Tang has more than 20 years' experience in the investigation of basic immunological mechanisms underlying allergic disease pathogenesis, and correlation of mechanistic studies with clinical outcomes. She has worked in the field of probiotics, prebiotics and gut microbiota for the past 10 years and has expertise in the investigation of gut microbiota changes in allergic disease. She is also a leader in the field of primary immune deficiency in the Asia Pacific region. Over the course of her career, Professor Tang has authored over 190 peer reviewed journal articles, invited reviews, and book chapters. 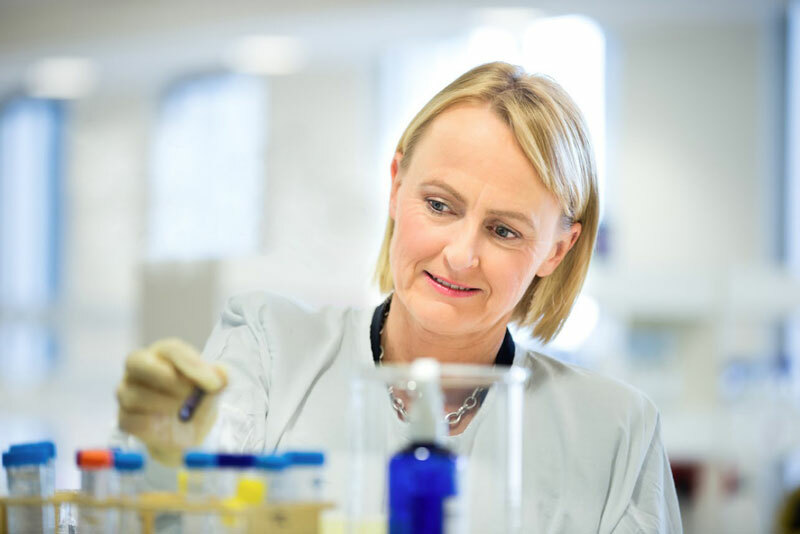 Professor Katie Allen is the Theme Director of Population Health and Group Leader of Gastro and Food Allergy at Murdoch Childrens Research Institute. She is a paediatric gastroenterologist and allergist undertaking research in the evolving field of food allergy. The food allergy burden is immense and ranges from the extreme consequences of anaphylaxis to the everyday restrictions placed on children, their families and the community, and Professor Allen's vision is to prevent food allergy in Australian children. Katie is an inaugural Fellow of the Australian Academy of Health and Medical Science and Chief Investigator on five National Health and Medical Research Council funded studies which all seek to answer parts of the jigsaw with regards to population health and evolution of the new allergy epidemic including gene-environment and epigenetic associations with food allergy. Professor Allen is also Director of the NHMRC funded Australian Centre of Food & Allergy Research which aims to translate research findings into clinical practice and public health policy to ensure the best outcomes for children regarding food allergy. 2005: Selected as one of “Ten of the Best NHMRC funded health and medical research successes" for Allen KJ, Delatycki MB* et al. Use of community screening to prevent HFE-associated hereditary haemochromatosis. Founded in 2009, Curve Tomorrow is a technology company that is passionate about changing the direction of health. Curve Tomorrow started in Melbourne, Australia and in 2014 expanded to Silicon Valley, California and more recently to Perth, India, Sri Lanka and France. Curve Tomorrow are embedded within a world leading hospital working side by side with health professionals, researchers and patients.